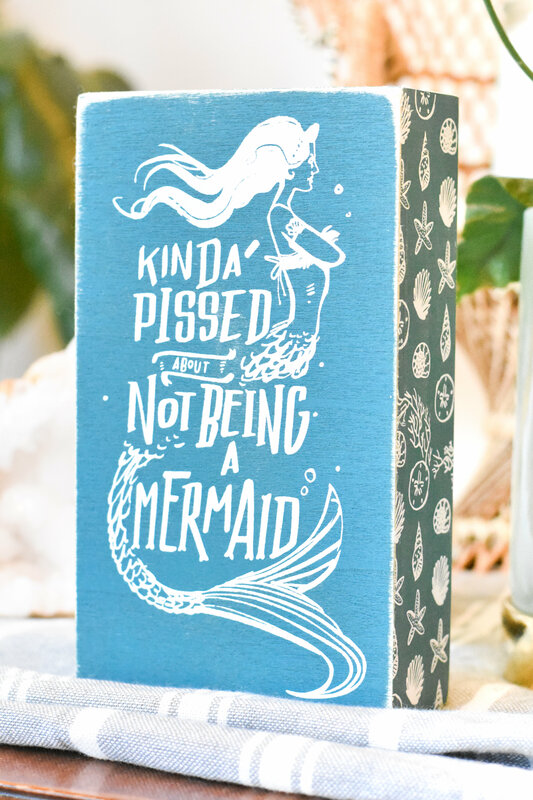 For the mermaid at heart. If you've ever thought that you we're maybe supposed to be a mermaid this sign is for you. I always like to bring a little seaside into my bathroom decore and this sign is essential.